A Small Dog Soft Toy that's 9/10 on the Tuff Scale! Looking for a soft toy for your small dog? This is a great choice. 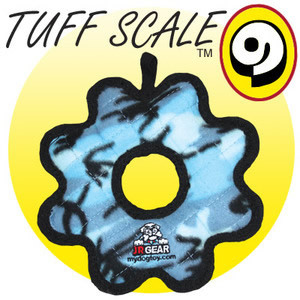 From the Tuffy Toys Jr range, this is a tough and long lasting soft toy for dogs under 10kg. However, you know your dog. If your mate is a super ambitious chewer you might be best to skip any soft toys though and go for something from our recommended range for Tough Chewers. What's great about the Jr Gear Ring? 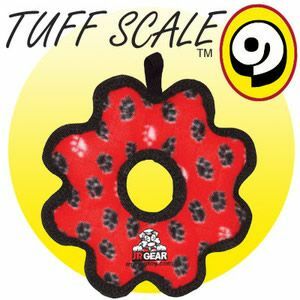 What sets Tuffy Toys apart?